This beautiful 3 bedroom villa has it's own private, screened swimming pool and is available for weekly rental. 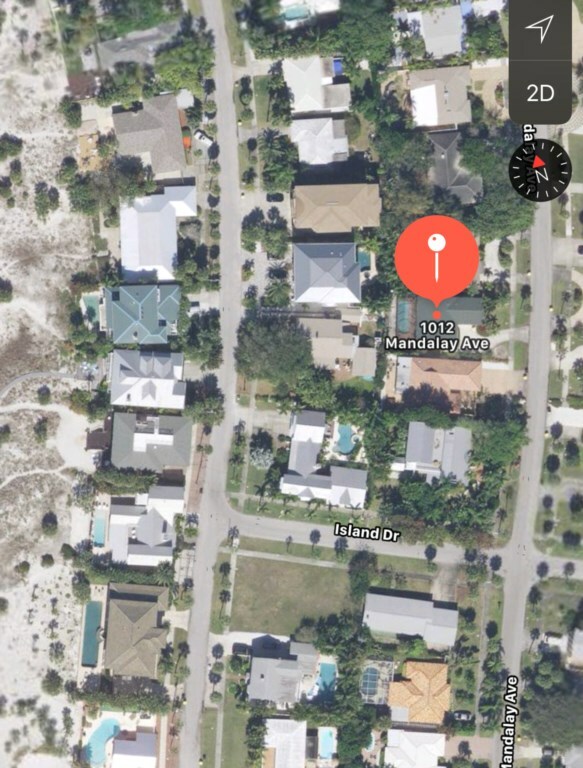 Our Beach Paradise Home is situated in a quiet neighborhood in North Clearwater Beach offering easy access to the beach. 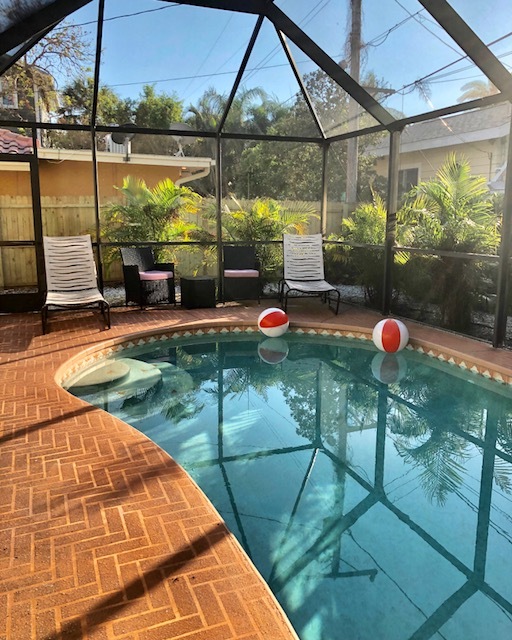 The larger than average single story vacation home comprises of three bedrooms and two bathrooms along with a fully fitted kitchen and separate dining area. The master bedroom is fitted with a queen size bed, the second bedroom has a queen size bed and a pull out sofa and the third bedroom has a queen size bed. In addition there is a queen pull out sofa in the main living room and another pull out sofa off of the living area. This rental can accommodate up to 12 guests and is great for couples, families with children or just friends. Laundry room with linen and towels is supplied. As you walk into our beautiful Beach Paradise you will find a spacious living room with a LCD large flat screen TV supplied for your enjoyment. Adjacent is a lounge area that has two queen pull out sofas. The dining room is spacious and will seat 10 guests. 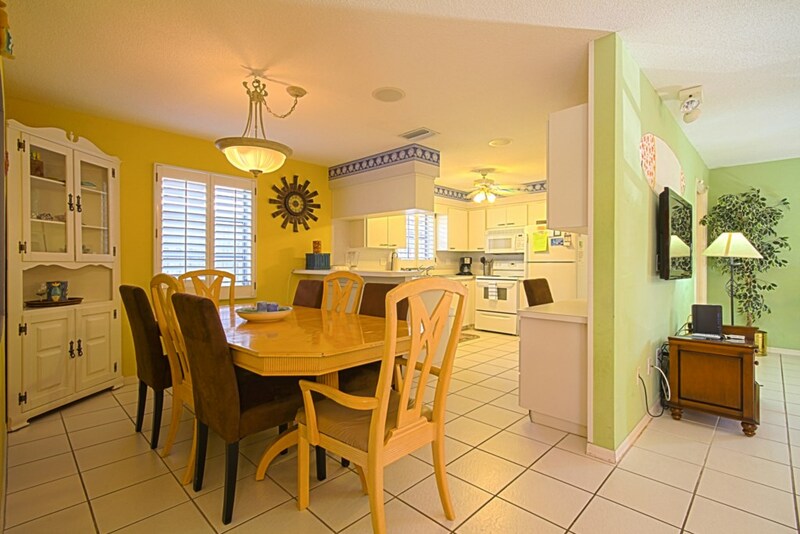 The kitchen is fitted out with all the equipment you would expect to need during your North Clearwater Beach vacation. This includes a full size oven a microwave oven, a refrigerator, dishwasher, waste disposal, coffee maker and a full set of utensils and housewares ready for your perfect meal. The kitchen, dining, lounge and living area are completely open and spacious. 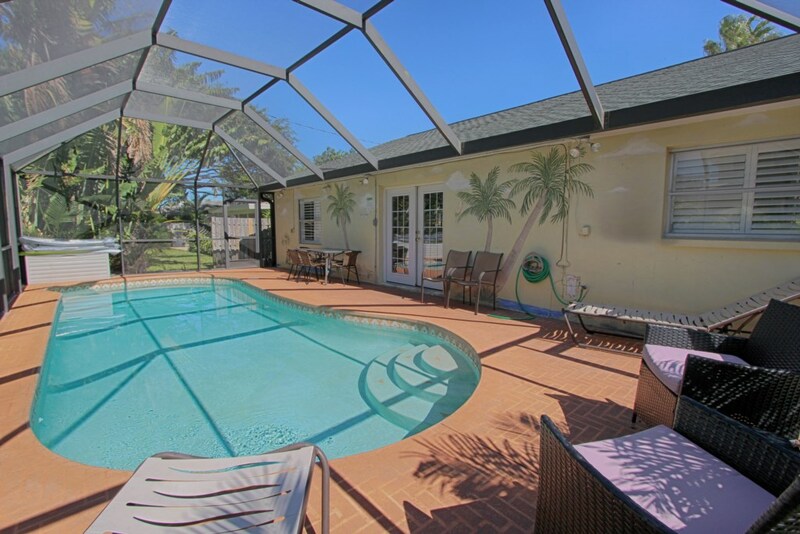 This lovely beach home is approximately 1500 square feet of relaxing comfort. Our Beach Paradise Beach House is just around the corner from the sand! 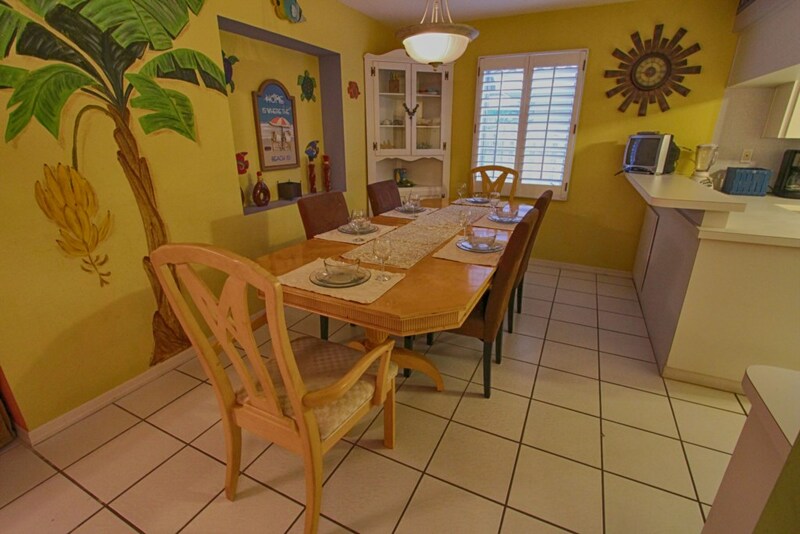 Our Beach Paradise vacation home offers great family fun - or for a special group celebration with spacious living and dining area, great private swimming pool, full kitchen all in an ideal location with easy access to the white sand. The screened, private swimming pool is ideal for families with children. 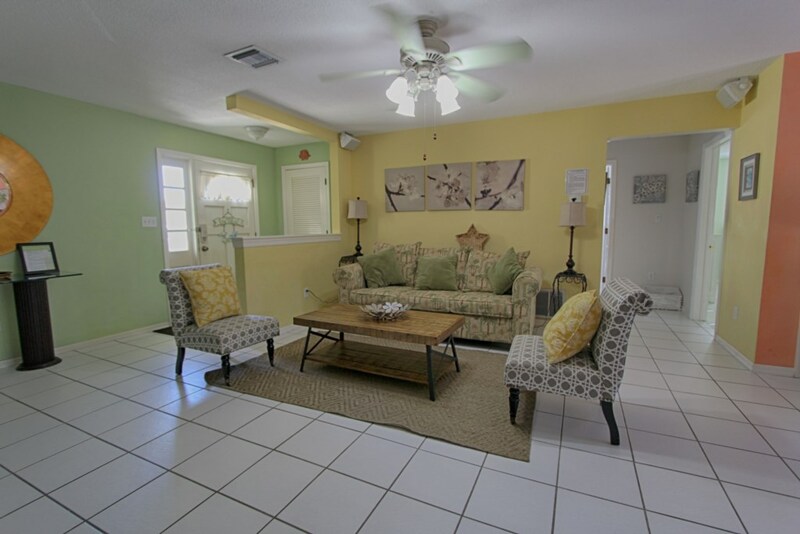 Come and enjoy what our Beach Paradise weekly rental has to offer. 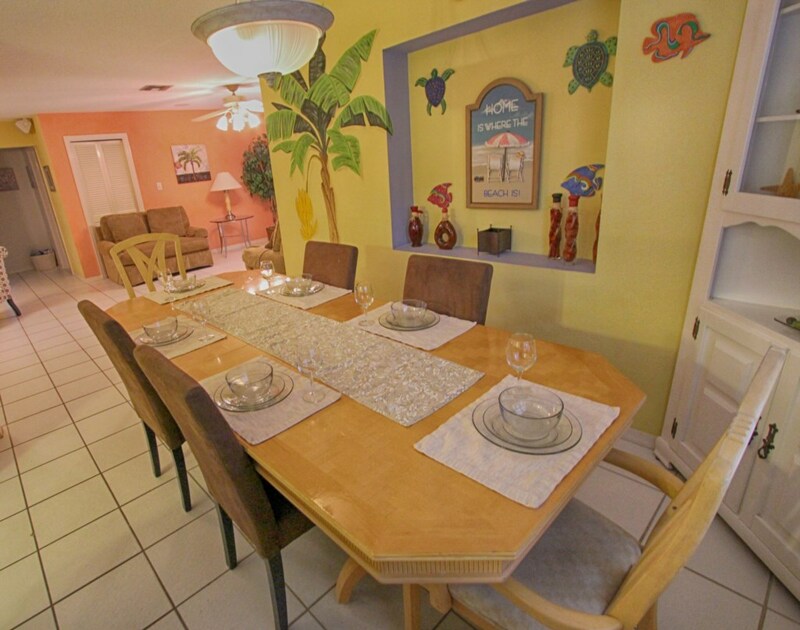 As you would expect our Beach Paradise vacation home is tastefully decorated and furnished with tropical and unique accents. 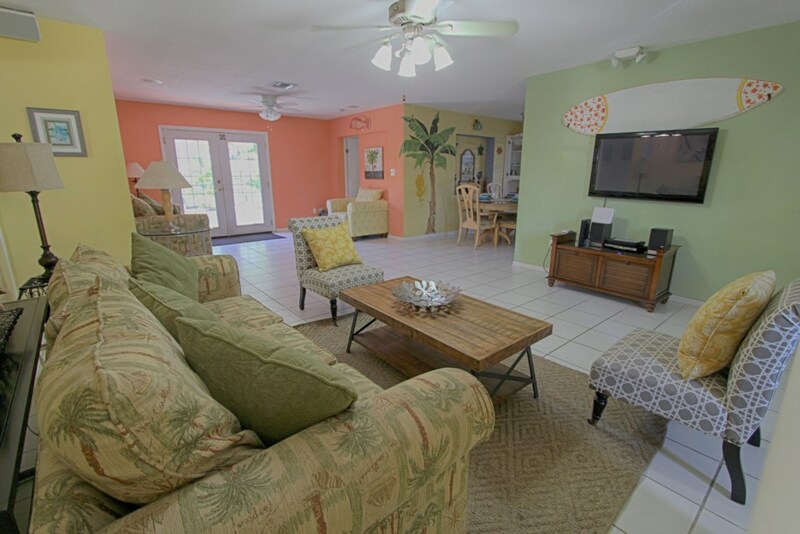 Our Beach Paradise vacation rental has every amenity to guarantee total vacation satisfaction. This property is undoubtedly one of our best value properties. We manage many properties walking distance to each other and can accommodate large groups. We offer condos, cottages, villas, townhomes and luxury homes at a tremendous value. Great house & location. House was very clean w/all amenities. Neighborhood location was excellent. Would definitely recommend. This home was most enjoyable and convenient to everything . The staff was excellent and most pleasant to work with. Pool was great and just a few minuets walk to the Ocean. We spent one full day beach hopping all the way to Siesta Keys and by far the beach here at this location is the best! We will most certainly stay again. This house was perfect! The staff was great, helpful and very accommodating! The house was large, clean and had everything we needed. Short walk from a beautiful beach! My husband and I rented this beach house for our wedding this past weekend and it was perfect! From the time we entered the house until the time we left it was awesome. Some of my family stayed there with us and we all had a great time and enjoyed the space. Mona was a life saver bringing us a new coffee pot when the one there bit the dust. The house had great access to the beach and just down the street from shops, bars and restaurants. I would without question rent a beach house from them again! My family spent time for a wonderful weekend at Beach Paradise Rental in the middle of July. It was such a breathe of fresh air to walk in and have everything you need at your disposal. From being close to beach access and wonderful local dining and night life. The home was clean and the pool enclosed and sparkling clean. This is very important to me as is was a family vacation with my two new twin granddaughters. The appliances were up to date and plenty of ice for my service dog for the outside heat. I would never stay anywhere else on Clearwater Beach with Beach Time Rentals. The staff was outstanding and I was checked on to make sure my stay was going as I had planned. We were a family of four adults and two children and the house was perfect for us. The open floor plan makes it really nice for everyone to be together when hanging out. The pool was clean and was nice for the kids, and there is enough room in one corner by the pool to comfortably sit at the table for a dinner outside. It also was one of the better stocked beach homes we have rented. The kitchen had everything we needed, and surprisingly there was an abundance of towels, including many nice beach towels. We also liked that the decor was beachy without being overdone or tacky. Loved the pastel colored walls in the main living area, and the blue and white kitchen. 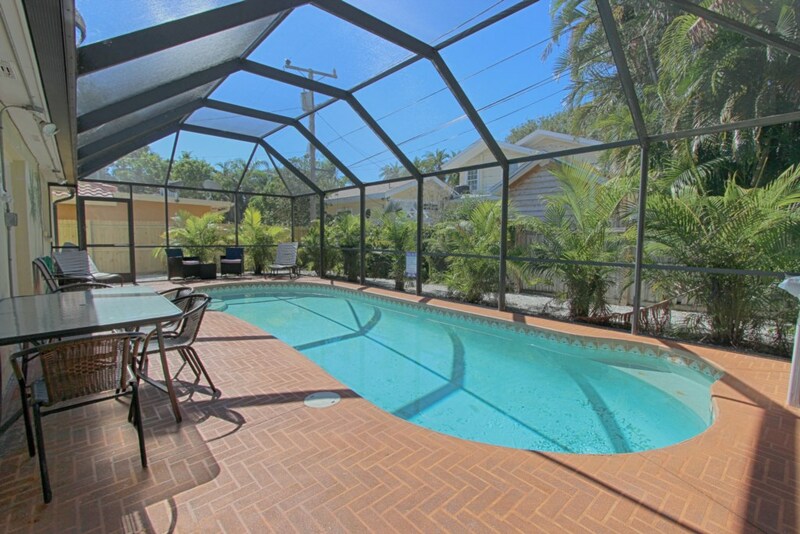 It is conveniently located three short blocks to the beach, an easy walk. and the beach is wonderful and not very crowded at that end. Lastly, Mona was very responsive, easy to get in touch with both before and during, and she was also very accommodating and helpful. A good company it seems , to rent from. And if you don't mind being a short distance to the beach, this rental s a great choice. 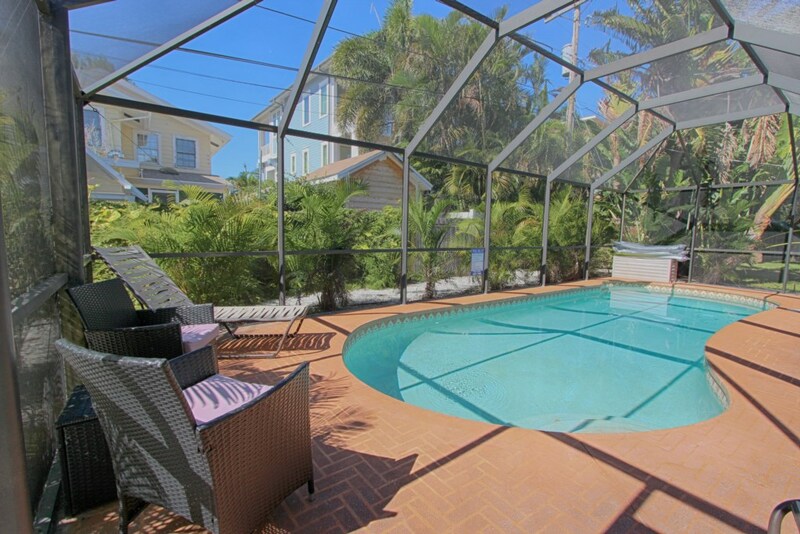 If you are looking for a clean 3 bedroom house rental with a pool close to the beach, Beach Paradise is for you. Because it is located in a residential neighborhood at the north end of Clearwater Beach it was nice and quiet. My kids thought the ice cream truck that came around on Fridays was so cool. The main attraction, beautiful Clearwater Beach, is only a 5 minute walk from the house! The management company was very accommodating and professional. I would definitely return. It was great - accurately represented, in lovely condition. Very much enjoyed ourselves.